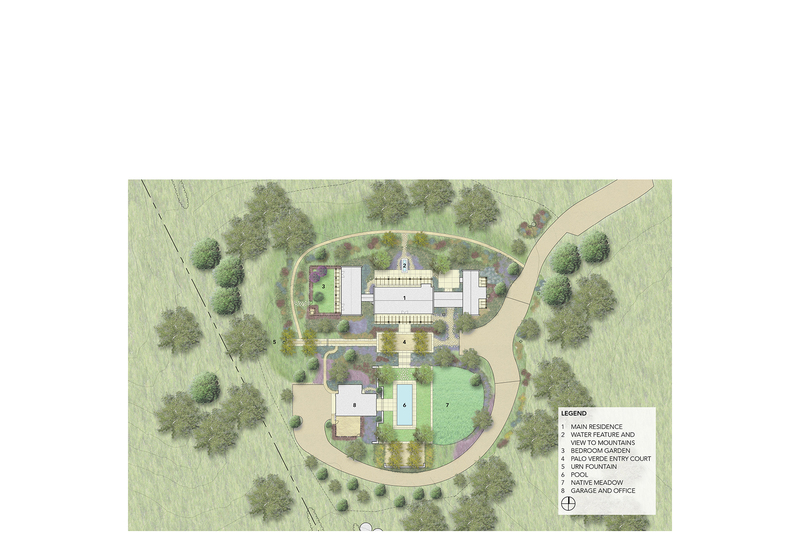 Set in a hidden corner of the Upper Ojai Valley, PB&Co designed a restorative landscape focused on native plantings for this large estate. 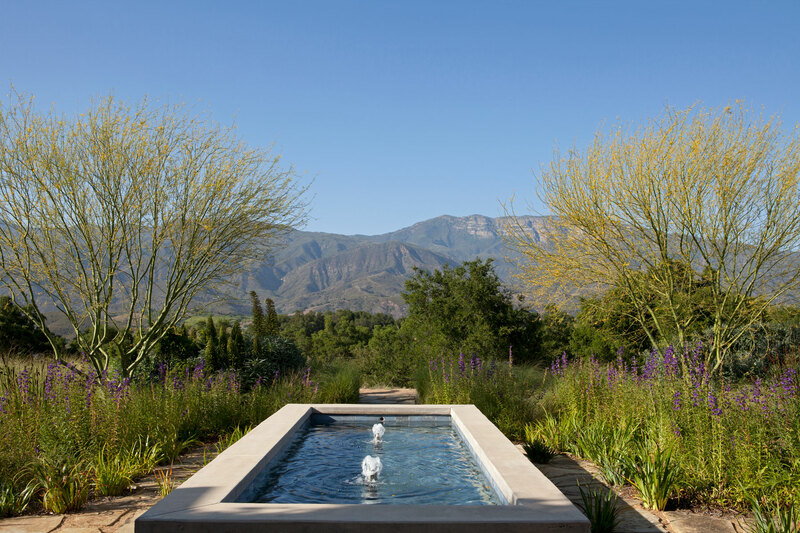 While the couple wanted a rustic weekend retreat not too far from their residence in Los Angeles, the design challenge was to create an inviting setting in a semi-arid location. 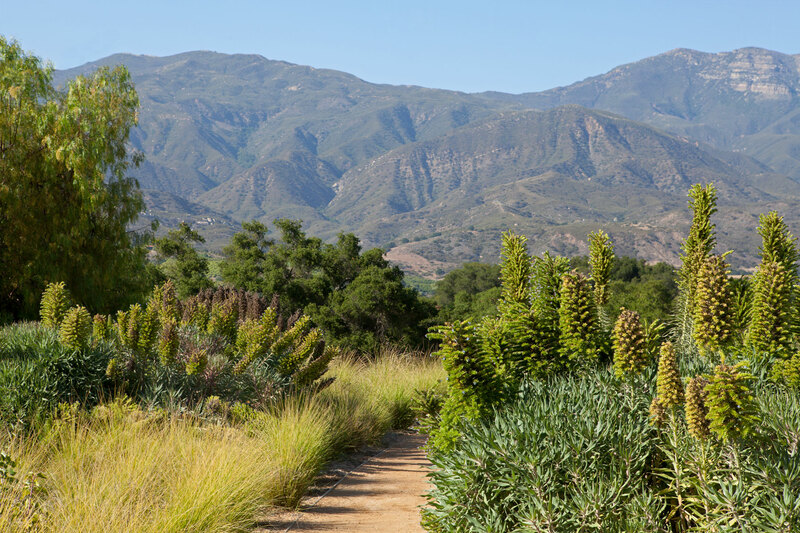 A varied palette of California native plants was used to tie into the surrounding landscape while providing punctuations of interest. 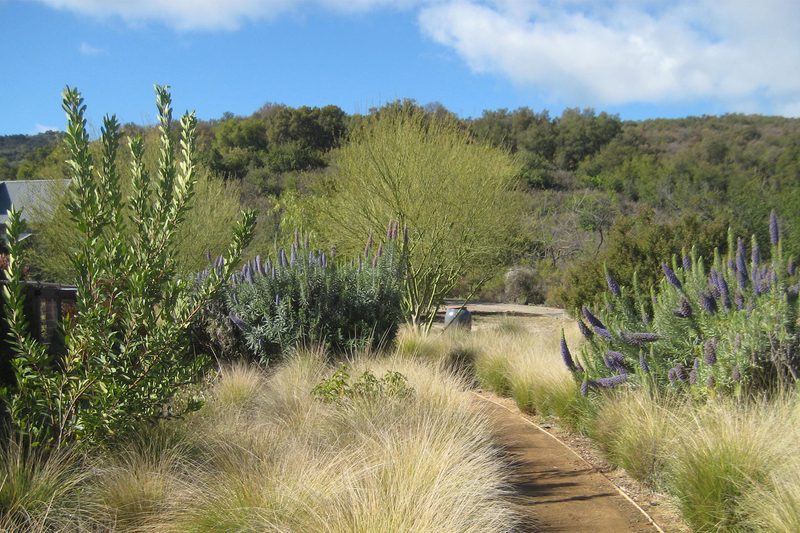 Species such as Toyon, Manzanitas, Salvias, and Rock Roses are featured prominently. Two large storage tanks were installed for fire flow and supplemental irrigation. 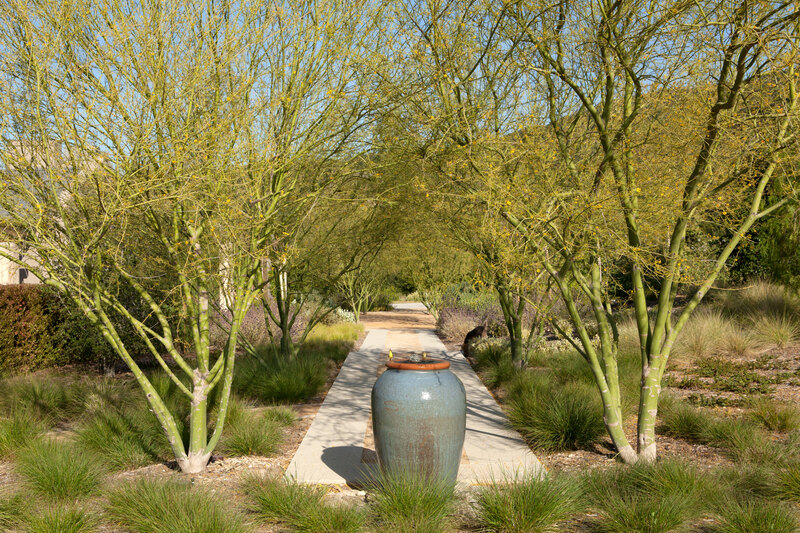 Low-water Palo Verde trees provide lacy shade over a central walkway while ornamental grasses such as Deer Grass and Pink Muhly are complemented by a burbling urn and vistas that extend from the pool into the surrounding hills. 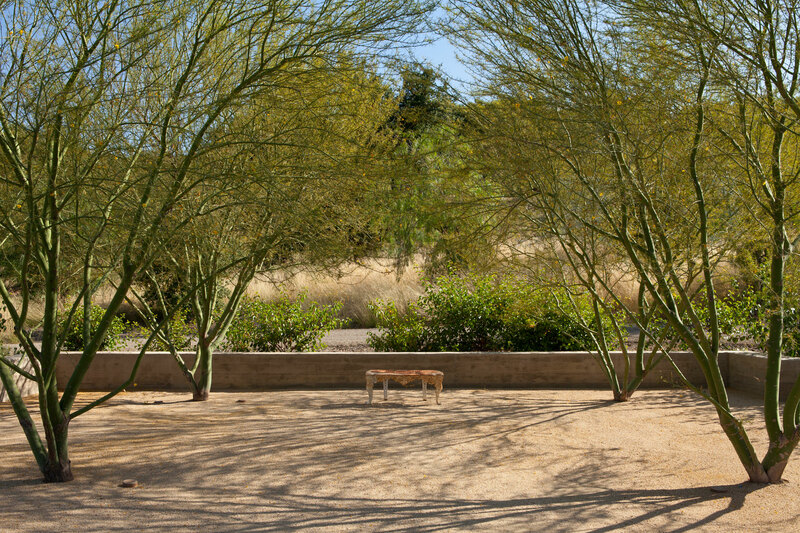 Together the privacy of the home is enhanced by the refreshing sights and sounds and cooling effects of water and shade.